Find thousands of handmade, vintage, punk, and one-of-a-kind large pendant necklace at ORDRM®. 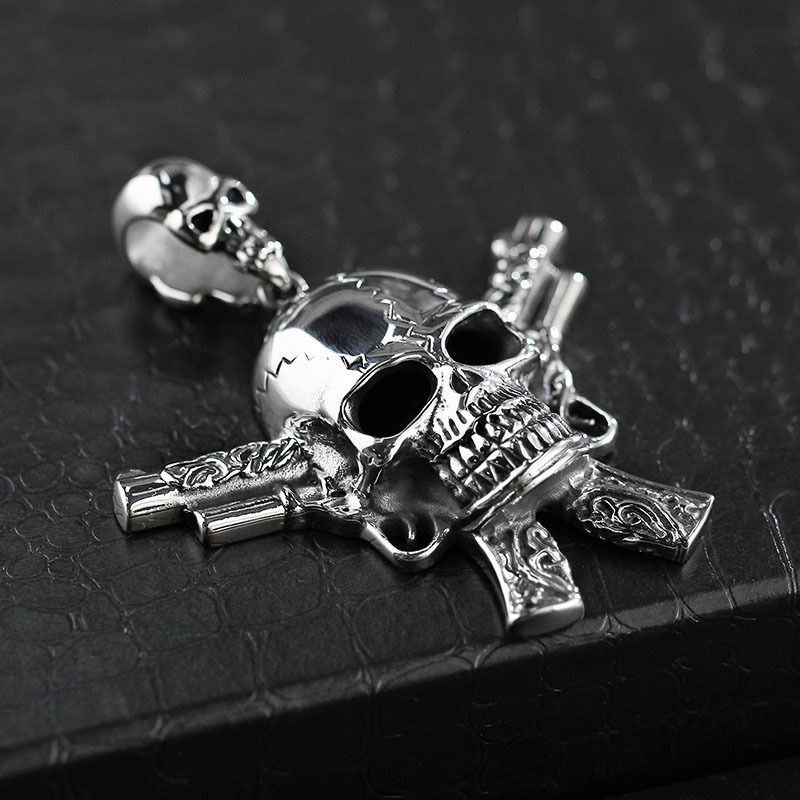 China jewelry factory cheap wholesale skull necklace for guys. This necklace is punk and gothic style. 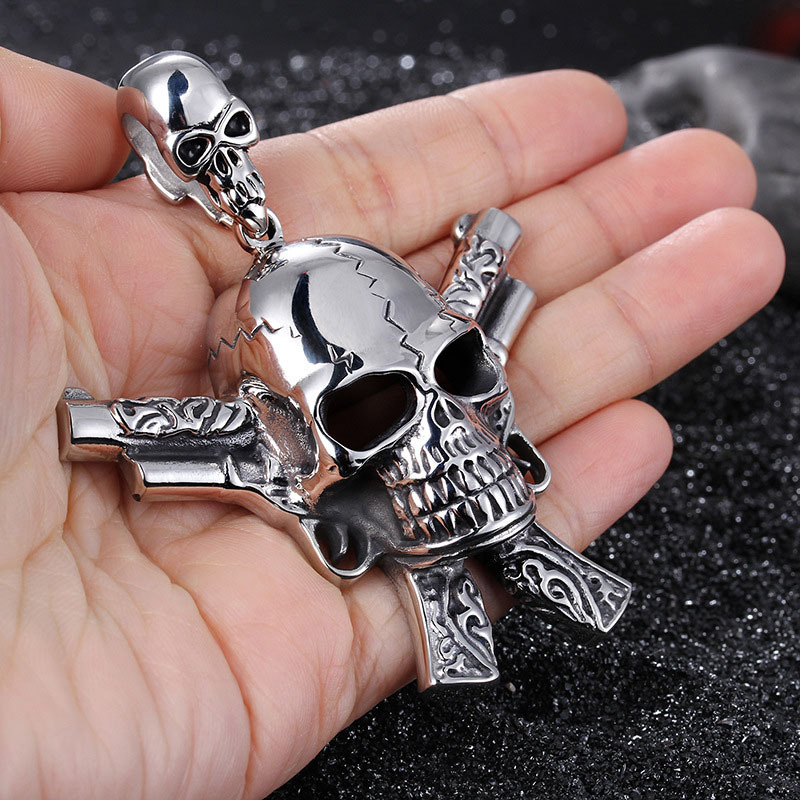 Large skull and double guns pendant design, height: 67mm; Width: 59mm. 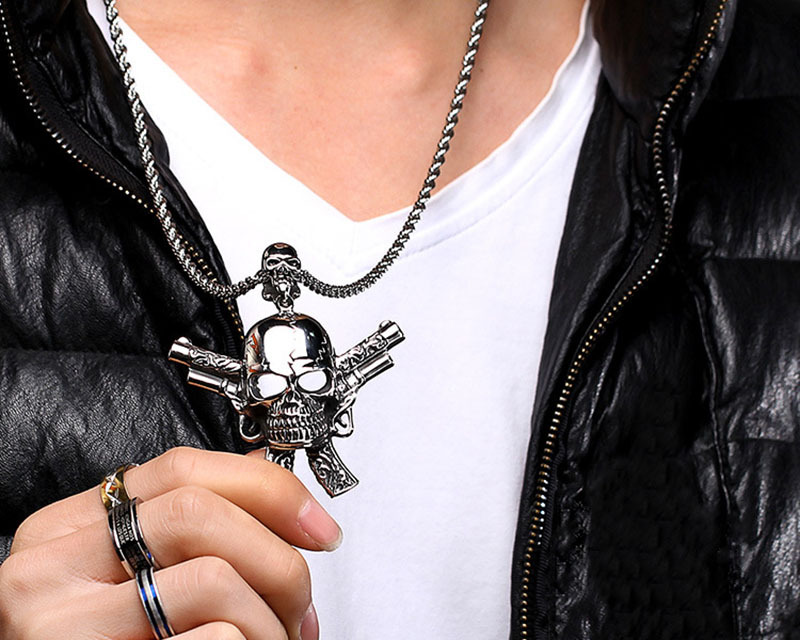 This skull and gun pendant necklace is made of stainless steel with high polished finish. Lead and nickel free, no harm to any skin. This skull necklace will be a special gift for guys on Christmas day or birthday. You might also like: Ankle Jewelry, Leather Bracelets, Bead Bracelets, Hip Hop Jewelry, Religious Jewelry, Custom Cufflinks, etc. Would you like this skull necklace in another color, or custom laser engraved your own logo, or even add a personal design? Or do you have your own jewelry drawing? Just send your jewelry designs pictures to us. Start creating today! 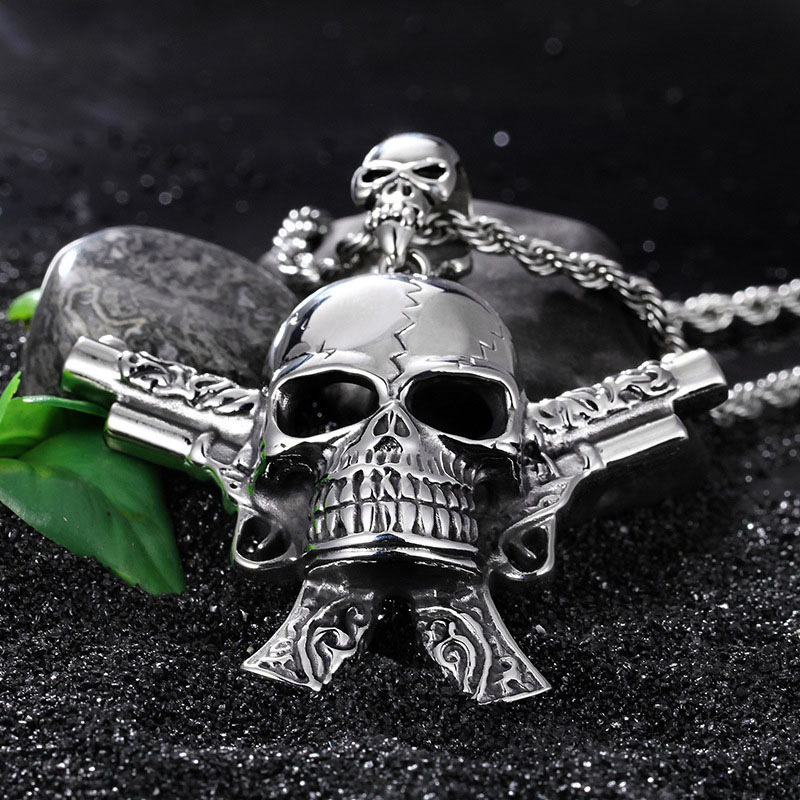 Looking for ideal Skull Necklace for Guys Manufacturer & supplier ? We have a wide selection at great prices to help you get creative. All the Gun Pendant Necklace are quality guaranteed. We are China Origin Factory of Large Pendant Necklace. If you have any question, please feel free to contact us.